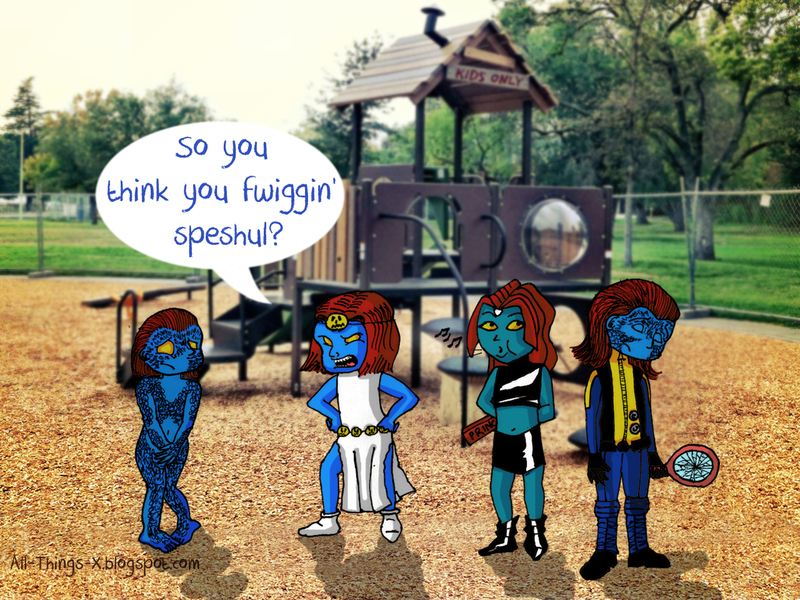 All Things X: X-Babies: Mystique! Some of you may know that I'm part of this group on Facebook called Comic Book Nerds Are Hot & they have this weekly "Artists Assemble" where artist extraordinaire Adam Bayes decides the topic for the week & members who wish to participate submit their entries by Monday. No winners are decided, it's just for fun, but I cannot express just how much I've learned while doing these tasks. 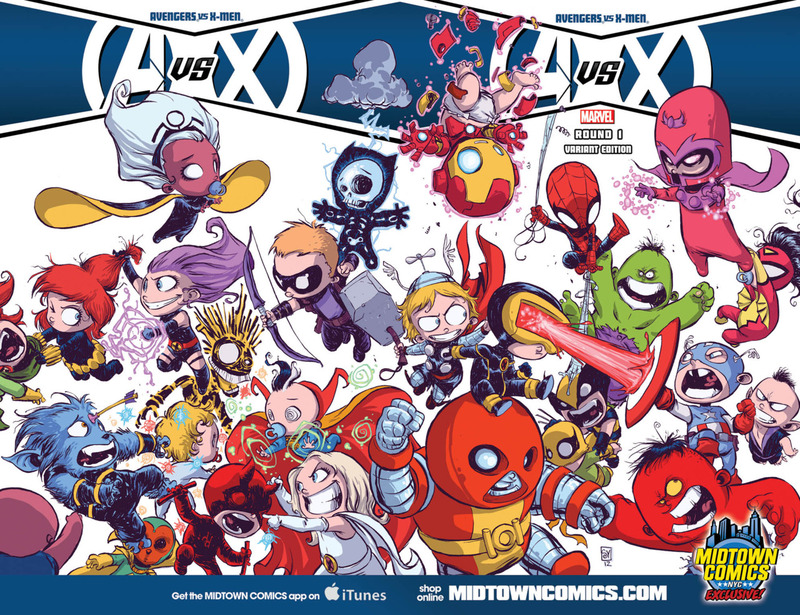 This week's assignment is: Babies- A tribute to Skottie Young. 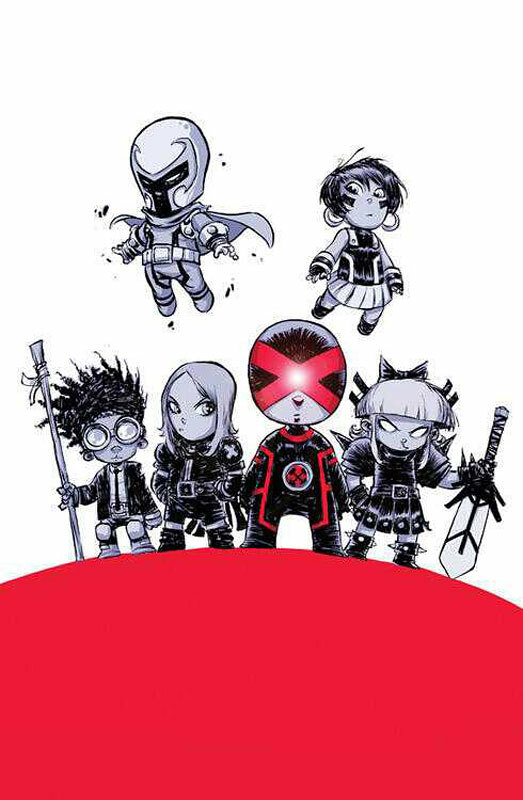 In case you didn't know, Skottie Young is a comic book artist & writer who has worked on many Marvel comics including Cable & Deadpool, New X-Men & Deadpool. Last year he brought us A-Babies v/s X-Babies on which he was writer as well as cover artist. 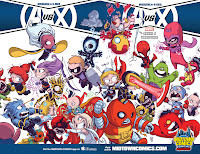 He also released a lot of Baby-variant covers for various Avengers v/s X-Men (AvX) books. It's been a while since I've taken part in CBNAH's AA tasks but seeing the entries that were coming in, I got inspired...So here's my creation, which you can download as a wallpaper (1280 x 960) if you like. Of course it features my fave, Mystique, left, right & center. Literally. ^(From l - r) The various Mystique versions are original X-Men movie trilogy, classic comics, X-Men Evolution & X-Men First Class respectively. I hope you guys can catch the small references here & there. X-Men Evolution Mystique hides the "Principal" sign she stole. In the show, Mystique went under the disguise of the Bayville High School Principal to do Magneto's bidding. X-Men First Class' Raven holds a broken mirror in her hand, alluding to how she loathed the way she looked in her true form. I used the following images as inspiration & references for drawing style, expressions, etc. The first 2 are variant covers for AvX & Uncanny X-Men respectively. 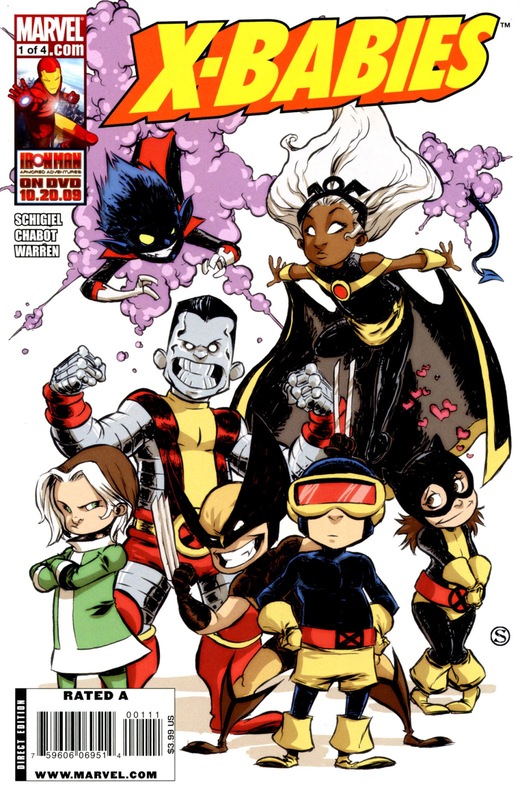 The third is the cover Skottie did for 2009's X-Babies #1. As always, comments & critiques are always welcome...You can check out more of my X-art out here. Alternatively, you could also head over to my DeviantArt page & see all my art, including the non-X-Men stuff. Time for an "All-New" Look! Apologies for the hiatus...But I'm back!